Convenient self-catering accommodation in the heart of the Nama-West Coast. 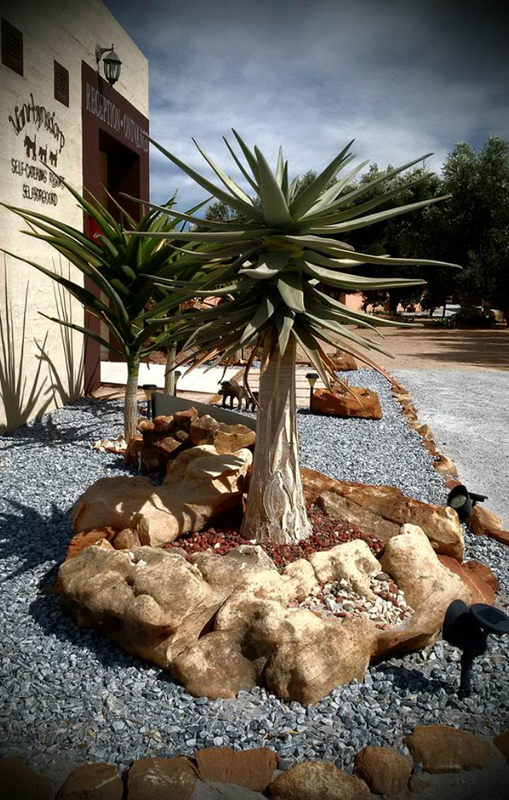 Our resort is situated in the Western Cape town of Vanrhynsdorp in the Matzikama region. Our units are fully equipped and self-catering apartments/units with kitchens, bathrooms, proper braai facilities, original oil paintings, quality beds and linen, secure parking as well as the smaller indispensable necessities such as can and bottle openers, dishwashing liquid, cloths, salt and pepper, braai tongs, etc. All our apartments/units are equipped with air conditioning. If you want to explore our beautiful and diverse region or just need a hot shower and a place to relax, sleep and regain your strength during/after a long road trip, our resort is ideally suited. From R300 per person per night, sharing. 17 self-catering units ranging in size, with a maximum joint capasity of 48 guests.